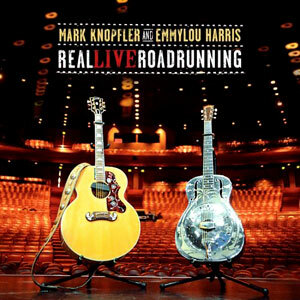 Today’s Cool Album of the Day (#345 in the Series and #28 in the Live, Saturday Night Series) is Mark Knopfler and EmmyLou Harris, Real Live Roadrunning. To this day, I can still kick myself for not seeing this tour. 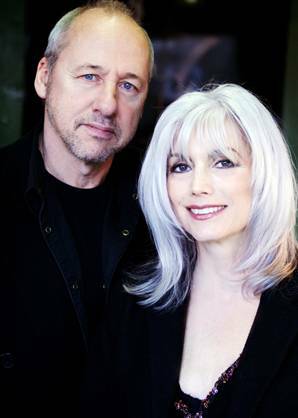 EmmyLou Harris and Mark Knopfler together. This was 2006; I had just seen Mark in 2005. Yes, that was a fantastic show, but I decided I’d pass on this tour. Then I listened to the album. I should have known! Often if you miss can act’s tour, well, you can just catch the next one. This is why I’m so angered about missing this tour. I’m nearly positive that this was a one in a lifetime chance. Do we really expect that they’ll team up and record AND tour again? I really don’t think so. This album and DVD did a great job on bringing their tour into our homes. The set lists on both are just outstanding. I’ve included the set list for both the album and DVD below. They differ. 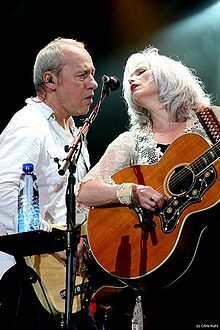 Songs were included from Dire Straits, Mark Knopfler solo career, EmmyLou Harris solo career and of course, the album that they had recently recorded together, All the Road Running. Here’s how some of the individual songs break out. From All the Road Running we have “This is Us”,” Red Staggerwing”,” If This Is Goodbye”,” Right Now” and the title track. “I Dug Up a Diamond” was a DVD only track. Most of the band here included members from Mark Knopfler solo works. Maybe this is why we lean heavier towards Mark’s side of their careers. That’s probably my only real complaint about the work here. 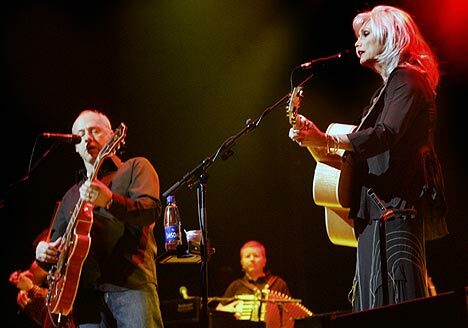 Four or five more EmmyLou songs would have worked nicely for me. “Ain’t Living Long Like This”,”She”,” Leavin’ Louisiana” or “Luxury Liner” anyone? If you like that stuff, you might like this as well! Here’s some more Live albums to check out.